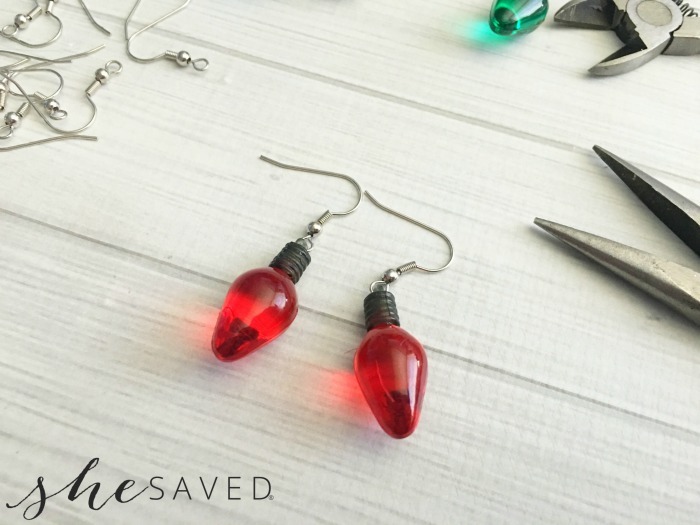 If you are looking for a special DIY gift or maybe just a festive project for yourself, you are going to love these Christmas Light Earrings! 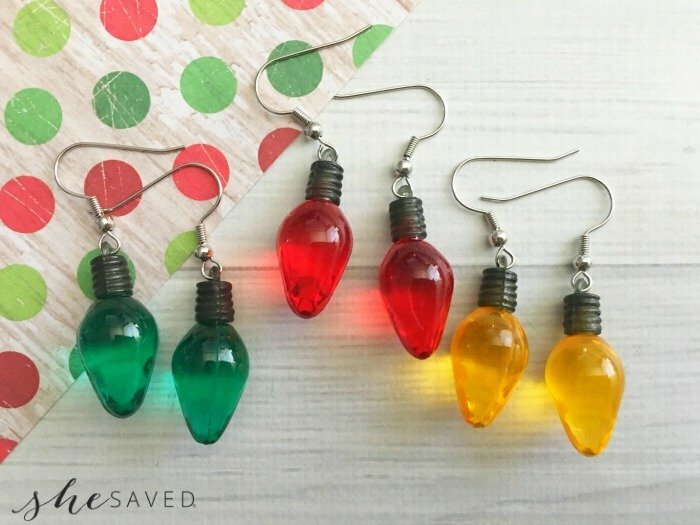 Super affordable and easy to make, they are so festive and fun! My daughter even made some for her stuffed animals this year, so now they all look super festive too! 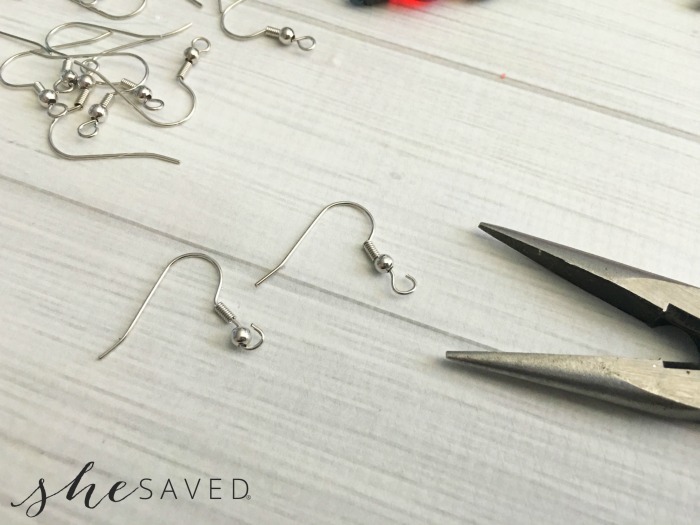 Open the bottom loop of your fishhook earrings with either your round nose pliers or chain nose pliers. Slide the loop of the top the ornament in the loop you opened. Close your loop back up with your pliers. 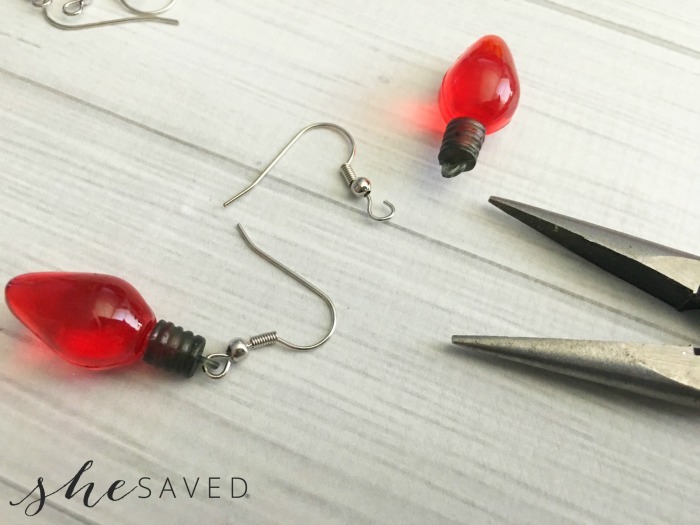 Clean off the hook with a little rubbing alcohol and they are ready to wear. 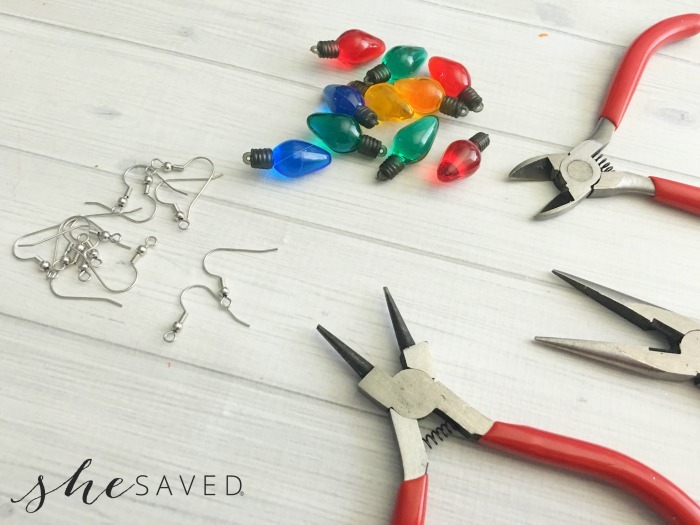 Such a fun gift idea, and a great way to show your holiday spirit, without breaking the bank. 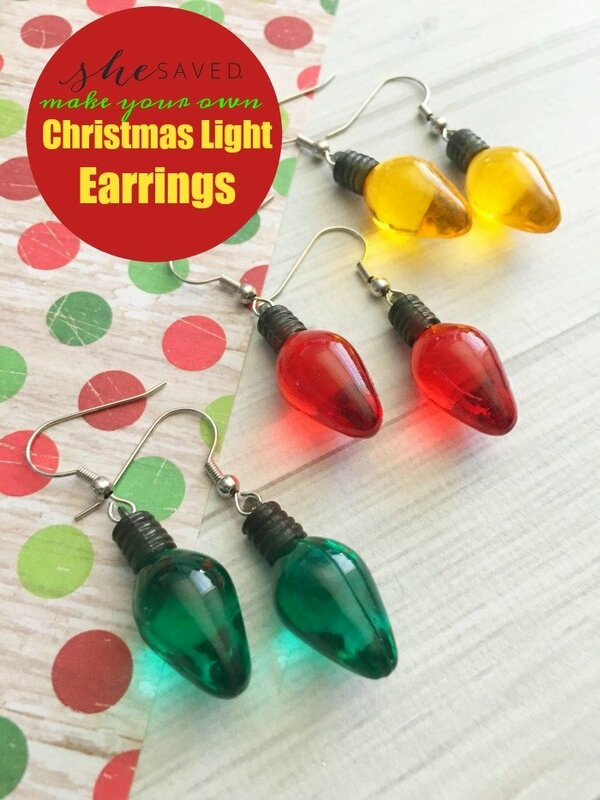 These Christmas Light Earrings are also great gifts for teens and tweens to make as gifts for their friends! « GREAT Gift Idea: Hobby Magazines for Everyone on Your List!